Pan-Roasted Chicken with Garlic and Sherry Sauce. Glazed Carrots. 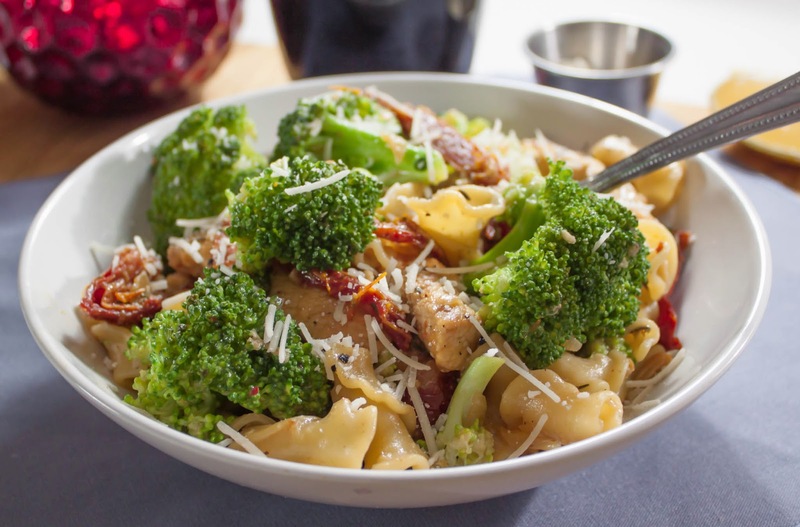 Roasted Broccoli. Garlic Mashed Potatoes. ... "It's Monday night and I was on my way home driving back from Milwaukee from work where I thought ... 'I want Boston Market for dinner and I really don't want to cook.' While in thought, I totally missed the turn and I didn't want to turn around and I drove to the supermarket instead to get the ingredients to make a 'Boston-Market-quality' meal for a fraction of the cost. Luckily, I read through the grocery store and supermarket circulars religiously and all the ingredients for this meal for four costs less than $15.00 USD. 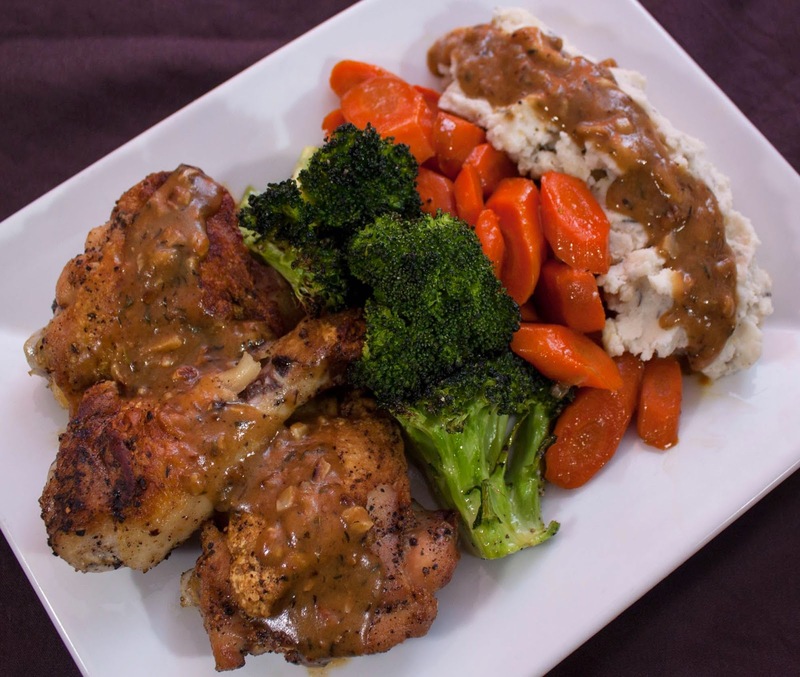 Pan-Roasted Chicken with Garlic and Sherry Sauce: BI Chicken Thighs and Legs. S & P. Vegetable Oil. Garlic. AP Flour. LS Chicken Broth. Dry Sherry. Thyme. US Butter. Lemon Juice. Glazed Carrots: Carrot. LS Chicken Broth. Sugar. US Butter. Lemon Juice. S & P.
Roasted Broccoli: EVOO. Sugar. S & P. Lemon Juice. Garlic Mashed Potatoes: Garlic. EVOO. Russet Potato. Water. Whole Milk. Thyme. Rosemary. Oregano. S & P.
Sirloin Steak with Boursin Mashed Potatoes. Easy Creamed Spinach. ... "James and I wanted to go out for dinner tonight, but I wasn't really feeling it. The howling winds and the cold temperatures inspired me to cook at home after a long day at work - plus, I haven't cooked in over a week with all the traveling I've been doing. Also, I was talking to a friend of mine and challenged me to make a steak dinner for two for less than $30 dollars and make it within 30 minutes. He also told me that I have to use Boursin cheese as a mandatory ingredient. CHALLENGE ACCEPTED. 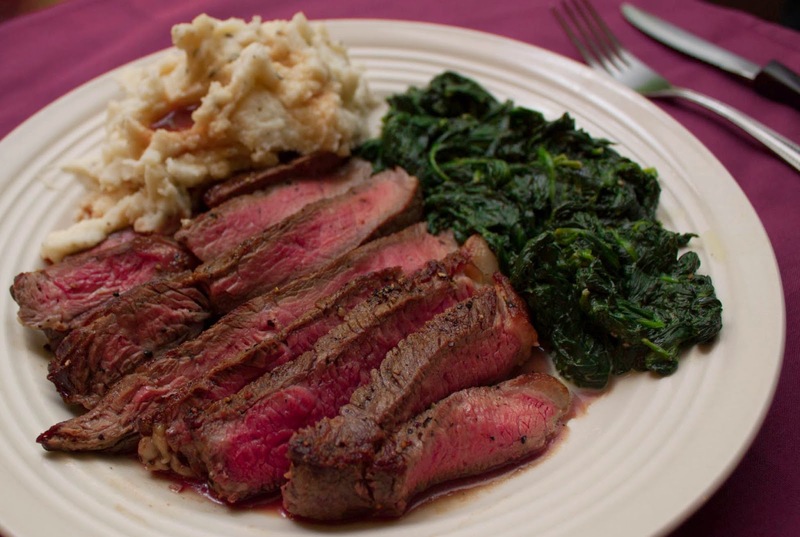 Sirloin Steak with Boursin Mashed Potatoes: Russet Potatoes. Vegetable Oil. BL Top Sirloin Steak. S & P. Whole Milk. Boursin Garlic and Fine Herbs Cheese. Chives. Easy Creamed Spinach: Olive Oil. Curly-Leaf Spinach. Boursin Garlic and Fine Herbs Cheese. Heavy Cream. S & P.
Steamed Mussels in White Wine and Parsley. 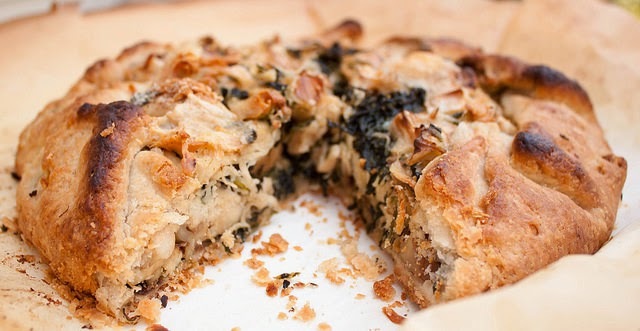 Rustic Italian Garlic Bread. 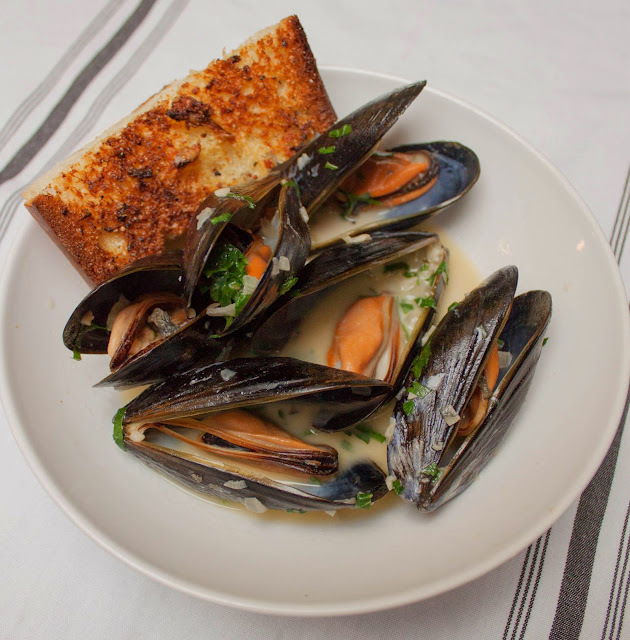 Steamed Mussels in White Wine with Parsley: US Butter. Shallot. Garlic. Dry White Wine. Bay Leaf. Mussels. Heavy Cream. Parsley. S & P.
Rustic Italian Garlic Bread: Bread Flour. RR Yeast. Water. Salt. Vegetable Oil. Garlic. US Butter. Parmesan Cheese. 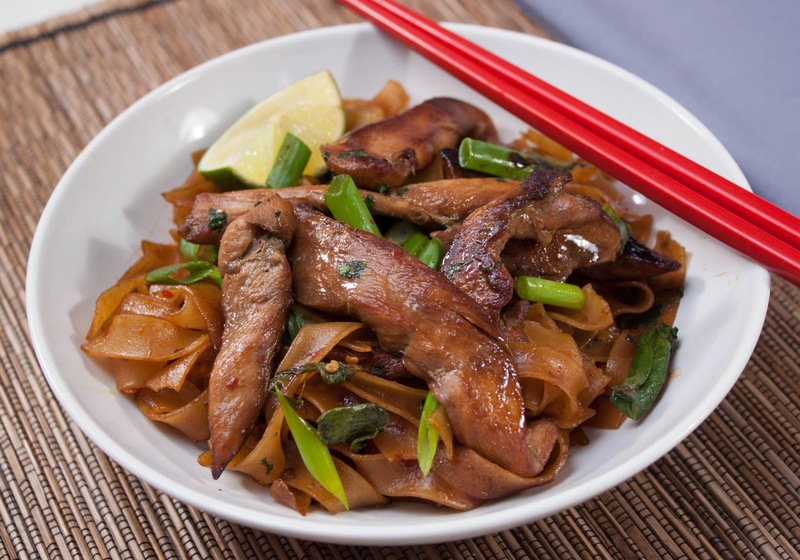 Drunken Noodles with Chicken: Rice Noodles. BS Chicken Breast. Soy Sauce. Dark Brown Sugar. Lime Juice. Lime Wedges. Asian Chili Garlic Sauce. Vegetable Oil. Baby Bok Choy. Thai Basil. Cilantro. Scallion. 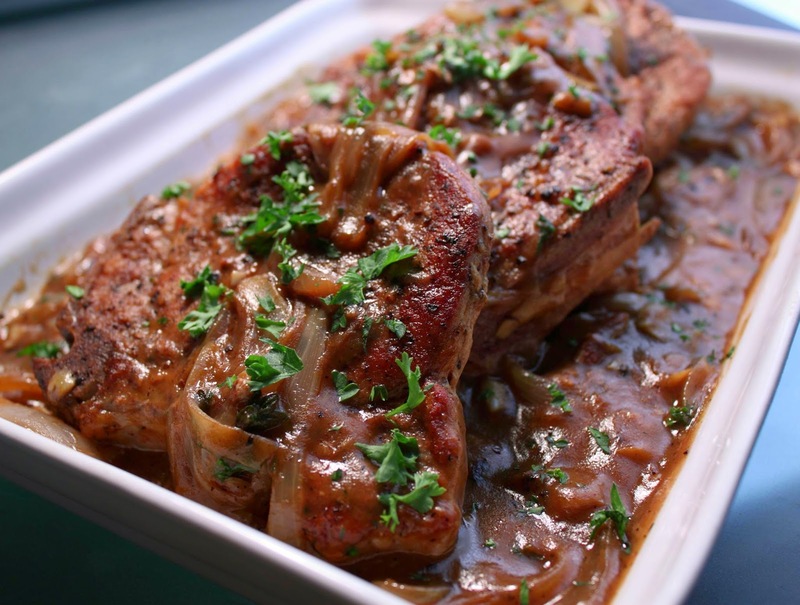 Smothered Pork Chops: Bacon. AP Flour. LS Chicken Broth. Vegetable Oil. 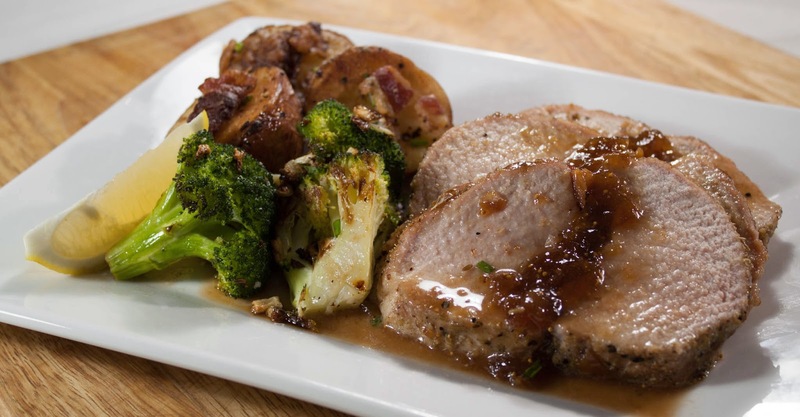 Bone-In Rib Loin Pork Chops. S & P. Onions. Water. Garlic. Thyme. Bay. Parsley. 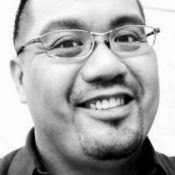 Chicken Adobo - Chicken. Water. Vegetable Oil. Onions. Garlic. Soy Sauce. White Vinegar. Bay Leaf. Peppercorns. White Rice - Rice. Water. Salt. Chicken Curry with Potatoes and Cauliflower. Basmati Rice. ... "James wanted to get Indian food and I really didn't want to go out for dinner. My kitchen was calling me - I haven't cooked nor been home all week. James stayed at home while I shopped and walked down the aisles of several of my favorite domestic/international supermarkets this afternoon. Being that it's starting to get cold outside and the start of autumn starts later this week, I wanted to make a dish that would warm me up on the inside and on the outside. 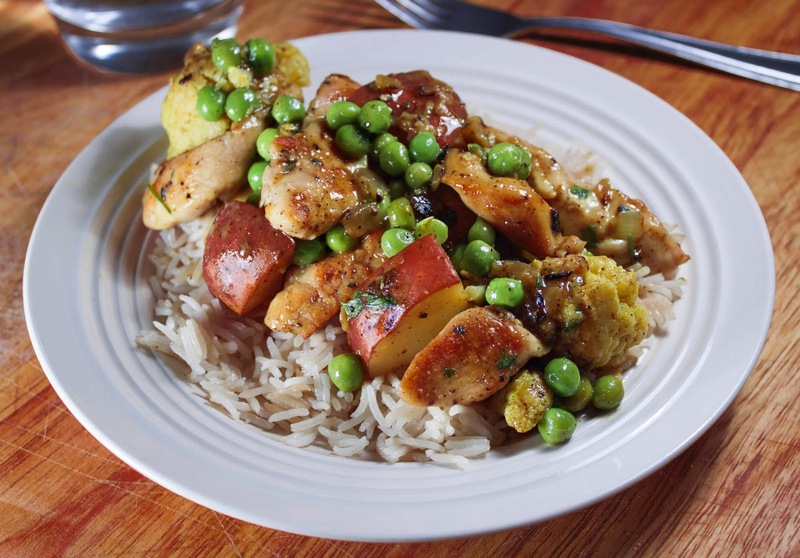 Chicken Curry with Potatoes and Cauliflower: BL/SL Chicken Breasts. S & P. Vegetable Oil. Onion. (Hot Madras) Curry Powder. Garlic. Ginger. LS Chicken Broth. Cornstarch. Red Potatoes. Cauliflower. Peas. Plain Yogurt. Cilantro. Basmati Rice: Vegetable Oil. Cinnamon Stick. Cardamom Pods. Cloves. Onion. Basmati Rice. Water. Salt. 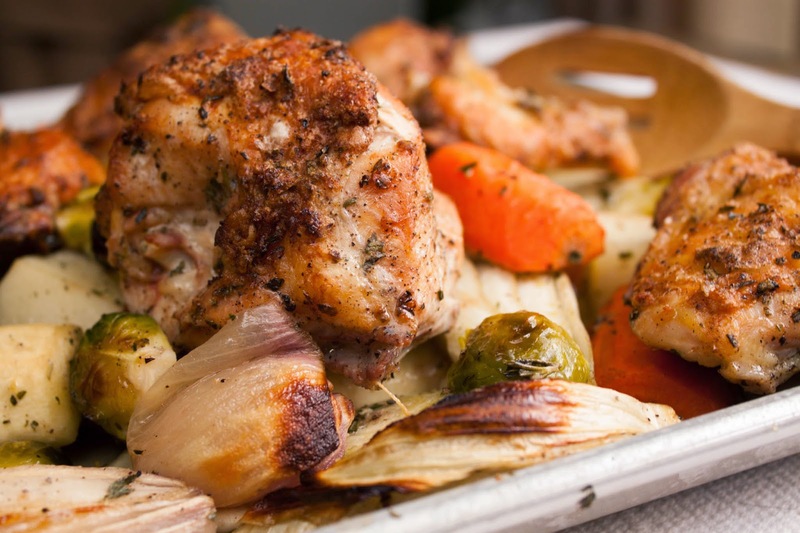 One-Pan Roast Chicken with Root Vegetables. One-Pan Roast Chicken with Root Vegetables: Chicken. Brussels Sprouts. Red Potatoes. Shallots. Carrots. Fennel. Parsnips. Garlic. Thyme. Rosemary. S & P. Butter. Sugar. 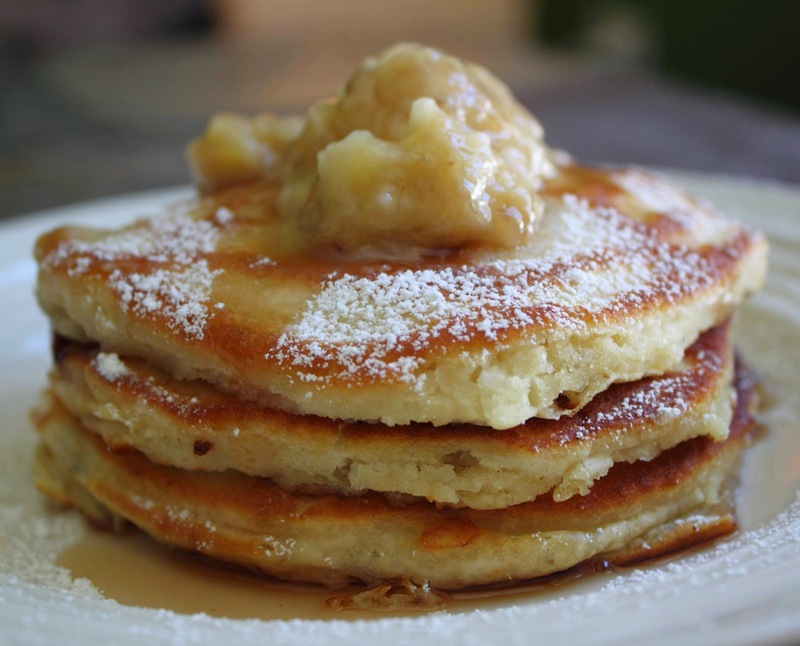 Buttermilk Banana Pancakes - Buttermilk. AP Flour. Sugar. Baking Powder. Baking Soda. Salt. Egg. Unsalted Butter. Ripened Mashed Bananas. Vegetable Oil. Vermont Maple Syrup. Confectioner's Sugar. French Onion Soup & Cheese Croutons. 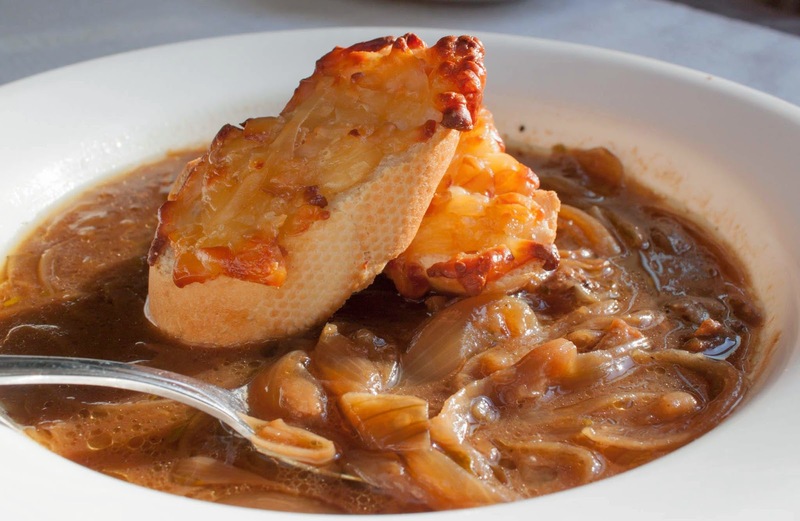 Slow-Cooker French Onion Soup: Beef Bones. Butter. Yellow Onions. S & P. Brown Sugar. Fresh Thyme. Apple Butter. Dry Sherry. AP Flour. Soy Sauce. LS Chicken Broth. Beef Broth. Greek Meatballs with Herb and Lemon Orzo. ... "It's the end of the weekend. A lot of the school districts where I live are starting school sometime this week. We both wanted something different than French and Italian staples that James and I usually have for Sunday dinner. 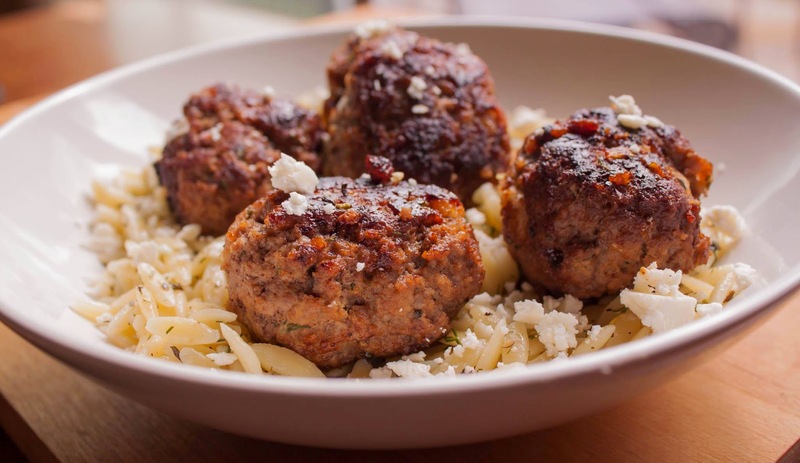 Greek Meatballs with Herb and Lemon Orzo -- Orzo. Water. S & P. Lemon Zest. Lemon Juice. Mint. Dill. Garlic. Olive Oil. Hearty White Sandwich Bread. Plain Yogurt. 85% Lean Ground Beef. Red Onion. Feta Cheese. This summer was full of events. James and I getting married, me having knee surgery, and now starting a new job here shortly, and everything in between ... this summer went way too fast. The only thing that James and I didn't do was go on honeymoon - so, this Greek meal was kind of our "Greek Getaway." 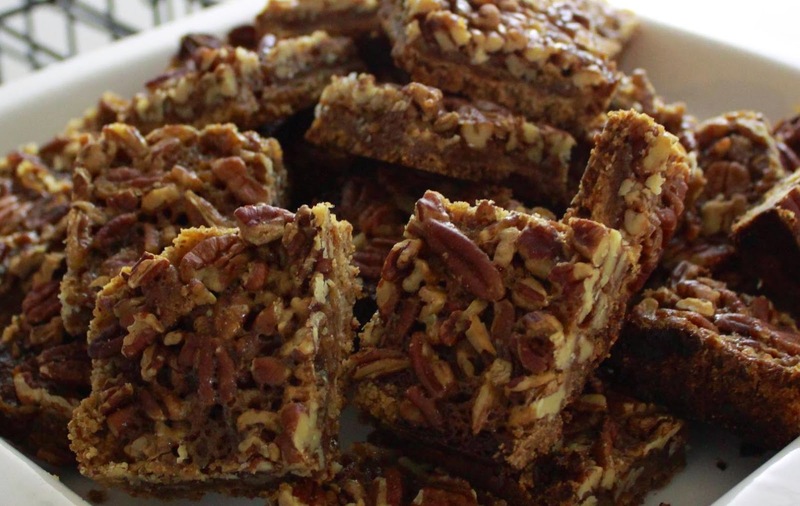 Pecan Bars: CRUST - AP Flour. Baking Powder. Salt. Light Brown Sugar. Pecans. Unsalted Butter. FILLING - Unsalted Butter. Light Corn Syrup. Vanilla Extract. Bourbon. Dark Rum. Salt. Egg. Pecans. 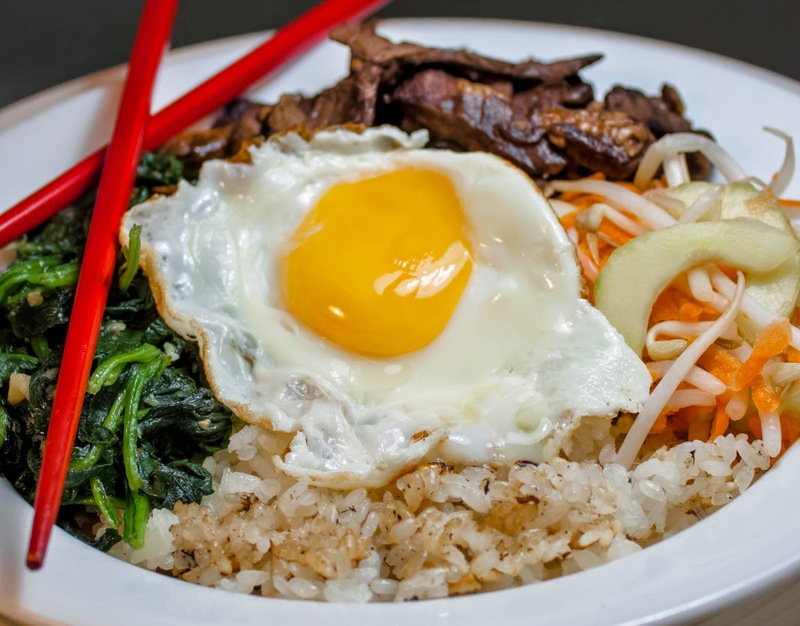 Korean-Style Beef and Rice - Bean Sprouts. Carrot. Cucumber. Seasoned Rice Vinegar. Short-Grain White Rice. Water. Blade Steak. Soy Sauce. Vegetable Oil. Shiitake Mushrooms. Garlic. Spinach. S & P. Egg. Toasted Sesame Oil. Gochujang Sauce: Gochujang (Korean Hot Pepper Paste). Garlic. Ginger. Scallion. Toasted Sesame Oil. Toasted Sesame Seeds. Kimchi: Napa Cabbage. Kosher Salt. Garlic. Gochugaru (Korean Chili Powder). Sugar. Fish Sauce. Soy Sauce. Ginger. Salted Shrimp. Scallions. Leek. Carrot. 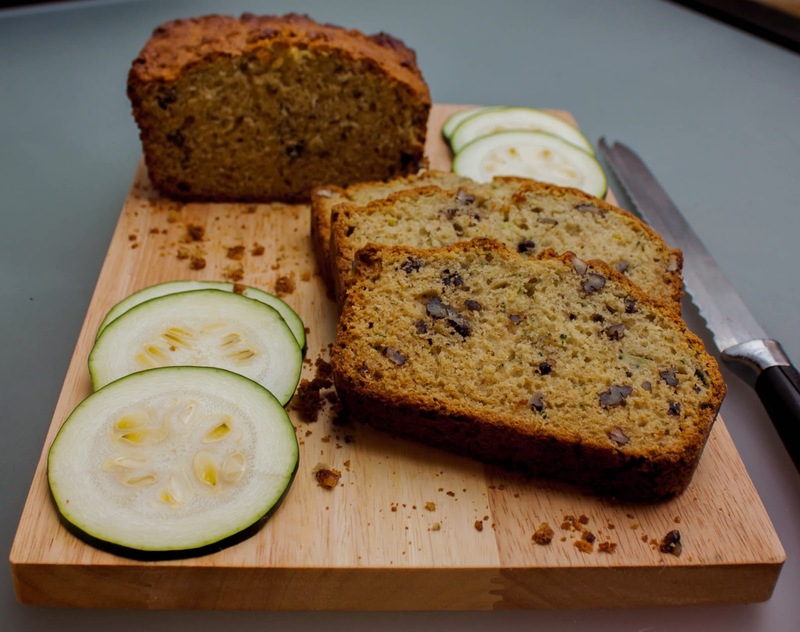 Zucchini Bread: Zucchini. Sugar. AP Flour. Baking Soda. Baking Powder. Salt. While Milk Yogurt. Egg. Lemon Juice. Unsalted Butter. Pecans. 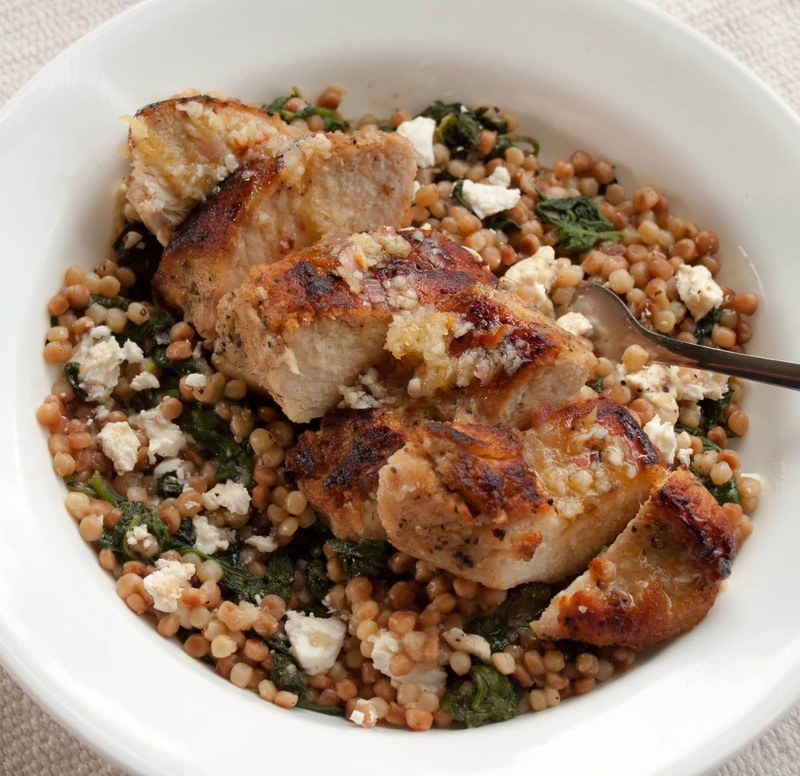 Chicken with Couscous and Spinach. Chicken with Couscous and Spinach: AP Flour. Boneless/Skinless Chicken Breasts. S & P. Olive Oil. Israeli Couscous. Shallot. Garlic. Lemon Zest. Lemon Juice. Red Pepper Flakes. LS Chicken Broth. Baby Spinach. Feta Cheese. 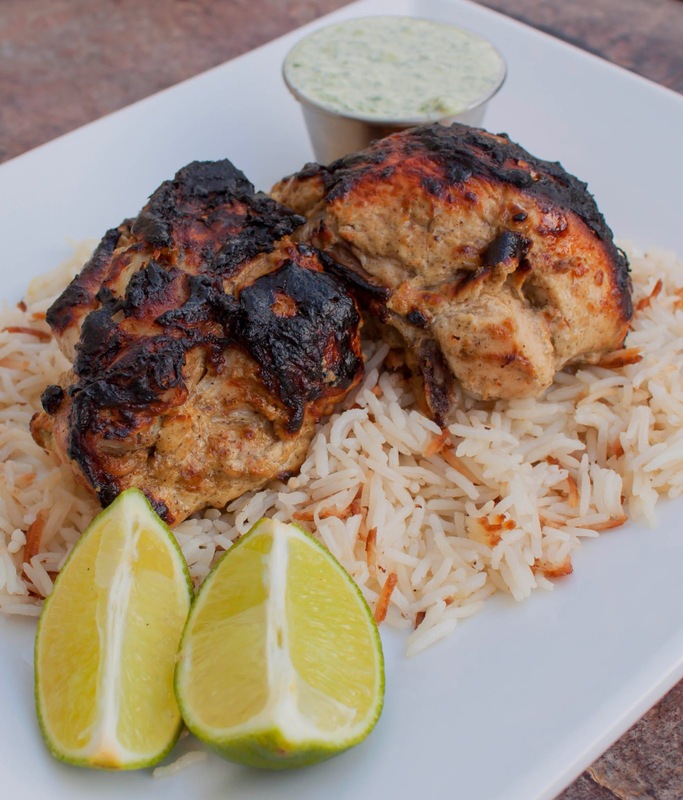 Tandoori Chicken. Yogurt Sauce. Basmati Rice Pilaf. Onion Relish. Cilantro-Mint Chutney. 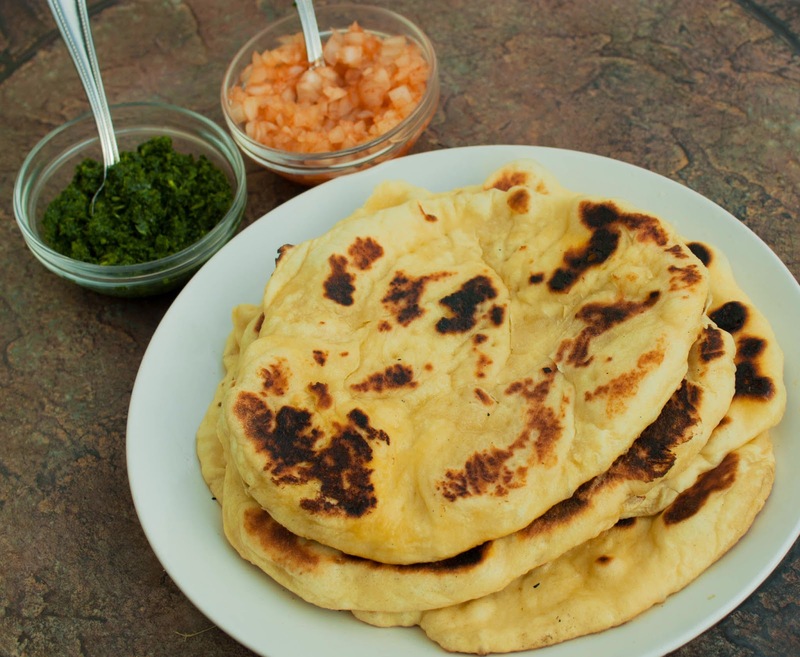 Indian Flatbread (Naan). Tandoori Chicken: Vegetable Oil. Garlic. Ginger. Garam Marsala. Cumin. Chili Powder. Whole-Milk Yogurt. Lime Juice. Salt. Bone-In Split Chicken Breast. Basmati Rice Pilaf: Vegetable Oil. Cinnamon Stick. Green Cardamom Pods. Onion. Basmati Rice. Water. Salt. Onion Relish: Vidalia Onion. Sweet Paprika. Lime Juice. Sugar. Salt. Cayenne Pepper. Cilantro-Mint Chutney: Cilantro. Mint. Whole-Milk Yogurt. Onion. Lime Juice. Sugar. Cumin. Salt. Indian Flatbread (Naan): Water. Whole-Milk Yogurt. Vegetable Oil. Egg Yolk. AP Flour. Sugar. Rapid-Rise Yeast. Salt. Unsalted Butter. Pan-Roasted Chicken Breasts with a Pomegranate and Balsamic Sauce. Roasted Brussels Sprouts. Crispy Smashed Potatoes. 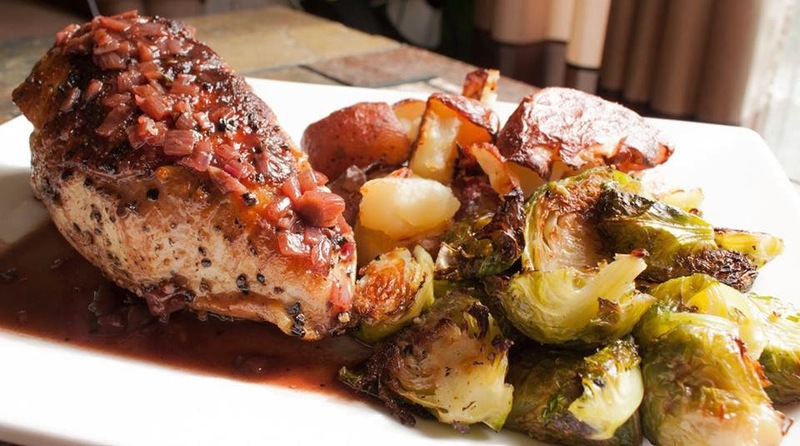 Pan-Roasted Chicken Breasts with a Pomegranate and Balsamic Sauce - Chicken Breasts. S & P. Vegetable Oil. Shallot. AP Flour. LS Chicken Broth. Pomegranate Juice. Thyme. Butter. Balsamic Vinegar. Roasted Brussels Sprouts -- Brussels Sprouts. Olive Oil. Water. S & P.
Crispy Smashed Potatoes: Red Bliss Potatoes. EVOO. Thyme. Kosher Salt. Pepper. Roast Chicken with Lima Bean Ragoût. 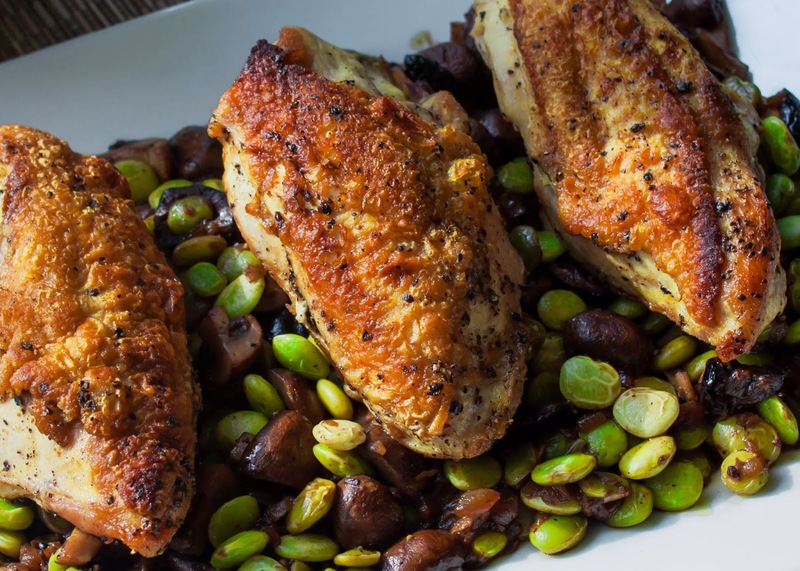 Roast Chicken with Lima Bean Ragoût: Bone-In Skin-On Chicken Breasts. S & P. Vegetable Oil. Onion. Cremini Mushrooms. Garlic. Sauvignon Blanc. LS Chicken Broth. Baby Lima Beans. Oil Cured Olives. 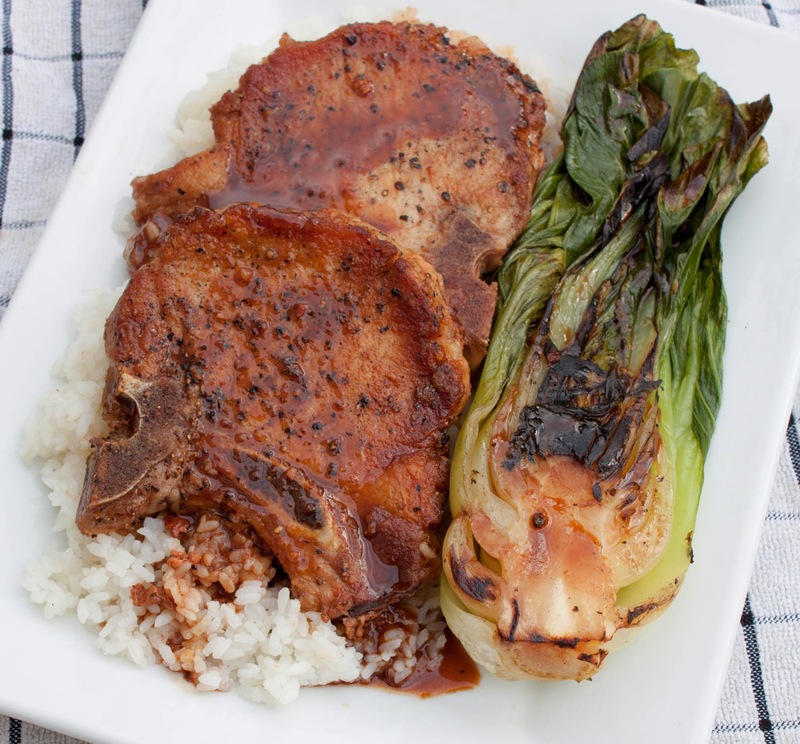 Cola-Glazed Pork Chops with Bok Choy and Sticky Rice. Cola-Glazed Pork Chops with Bok Choy and Sticky Rice: Sushi rice. Baby Bok Choy. Vegetable Oil. Bone-In Pork Rib Chops. Cola. Hoisin Sauce. Water. S & P.
Rustic Chicken and Brie Tart. Foolproof Pie Dough. 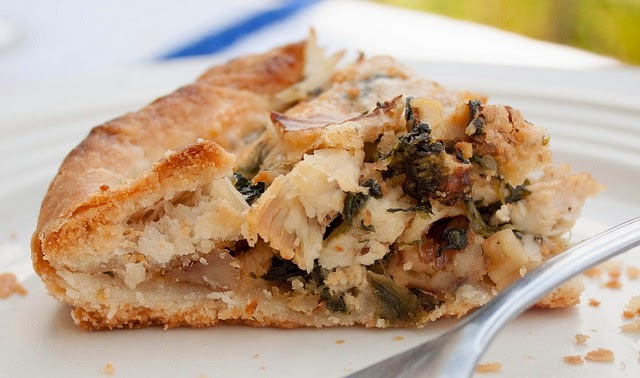 Rustic Chicken and Brie Tart: Spinach. Brie. Walnuts. Rotisserie Chicken. LS Chicken Broth. S & P.
Foolproof Pie Dough: U-AP Flour. Sugar. Salt. Butter. Vegetable Shortening. Vodka. Ice Water. Braised Chicken with Onions, Mushrooms, and Bacon & Sautéed Summer Squash. 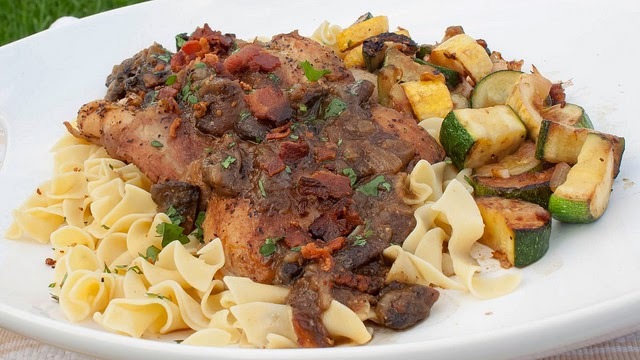 Braised Chicken with Onions, Mushrooms, and Bacon: Bacon. Boneless Skinless Chicken Thighs. Onions. Cremini Mushrooms. LS Chicken Broth. S & P. Parsley. Sautéed Summer Squash: EVOO. Onion. Summer Squash. Garlic. S & P. Parsley. Peach Crisp with Lemon Vanilla Whipped Cream. 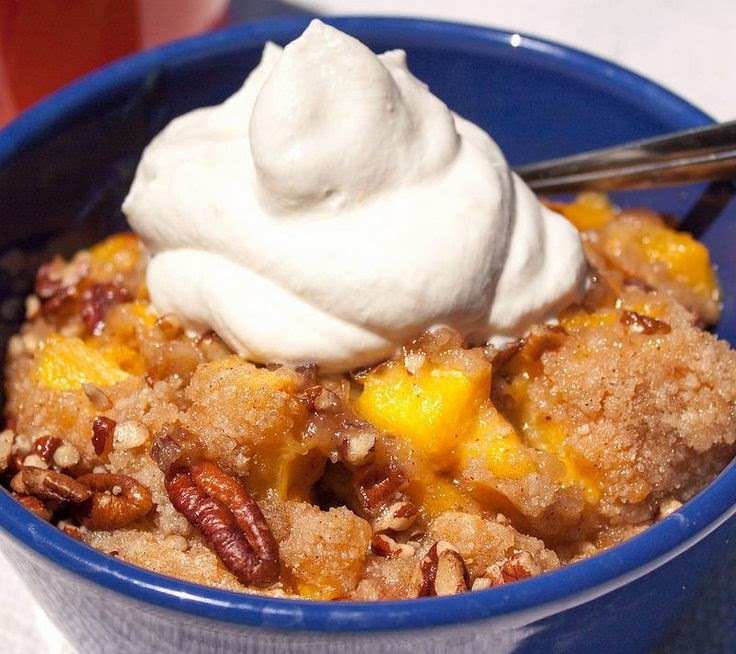 Peach Crisp with Lemon Vanilla Whipped Cream: AP Flour. Light Brown Sugar. Granulated Sugar. Cinnamon. Nutmeg. Salt. Unsalted Butter. Pecans. Peaches. Lemon Zest. Lemon juice. Vanilla. Heavy Cream. Salmon with Asparagus and Herb Dressing & Roasted Cauliflower. 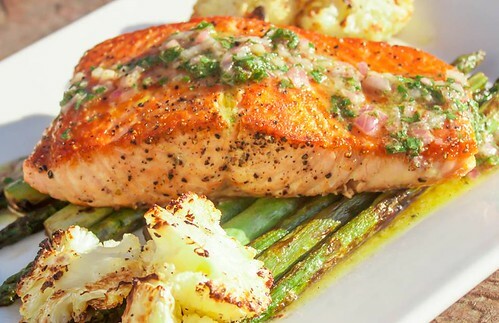 Salmon with Asparagus and Herb Dressing: Salmon. S & P. EVOO. Unsalted Butter. Asparagus. Lemon Juice. Shallot. Parsley. Dijon Mustard. Roasted Cauliflower: Cauliflower. EVOO. S & P.